Healthcare spaces can support or prevent relationships of trust and understanding between doctors and patients. Yet today, healthcare spaces are designed for an old model of healthcare. 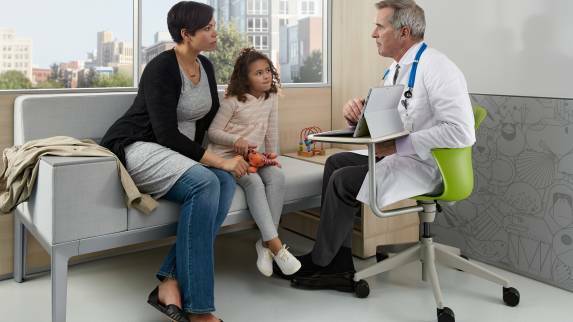 Steelcase Health research recently revealed five ways the exam room is failing doctors, patients, and family members. 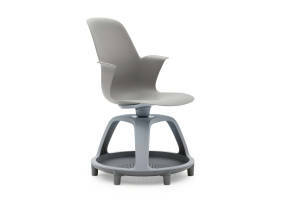 Introducing Node with ShareSurface, a clinician chair designed for partnership, inside and outside the exam room. 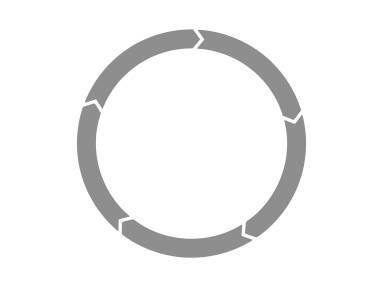 Node supports technology integration. Clinicians can take information with them as they move throughout a space, bringing everyone in the room into the healthcare experience. Node optimizes healthcare spaces spaces by combining a worksurface for technology and writing with sleek ergonomic seating, all within an efficient footprint. 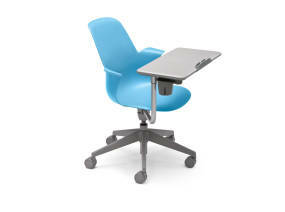 ShareSurface—with 180° side-to-side pivot and 360° surface rotation—provides superior sharing coverage in less space. 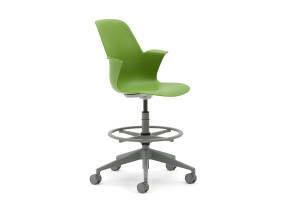 Its thoughtful design is ideal for transitioning between rooms and throughout healthcare spaces. 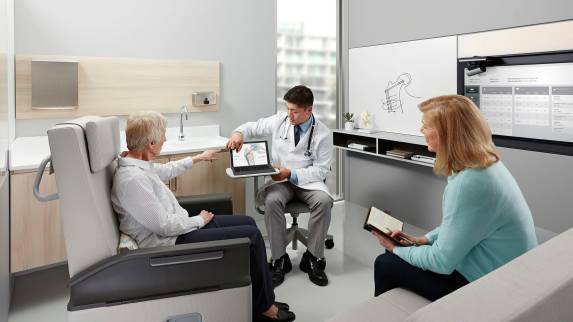 Node with ShareSurface can be used in a variety of clinical environments, including exam rooms, patient rooms, clinician training spaces, and infusion bays. 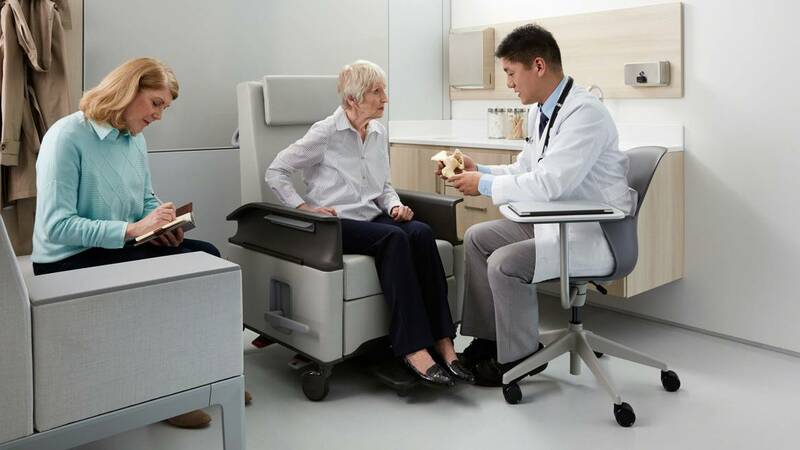 While moving from room to room can be physically taxing on clinicians, Node with ShareSurface seating for clinicians offers mobility and ergonomic support so clinicians can see more patients, comfortably and efficiently. 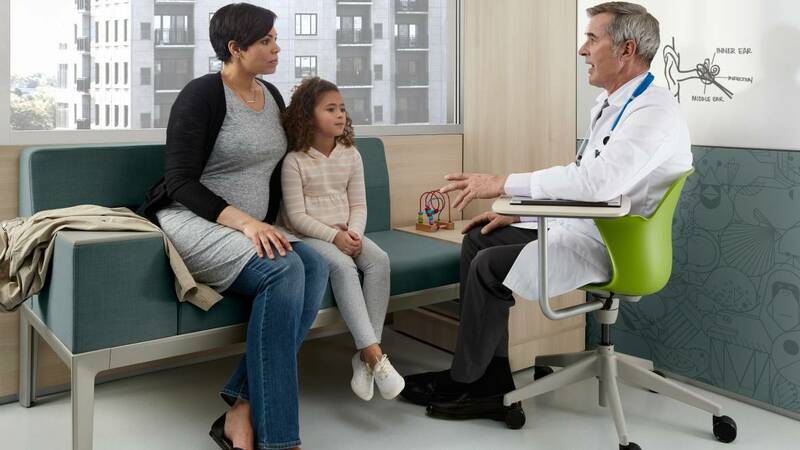 While healthcare spaces often host multiple participants—patient, clinician and family member—the current infrastructure doesn’t support eye-to-eye communication, reinforcing traditional hierarchy postures between clinician and patient, and minimizing opportunities for shared decision making. 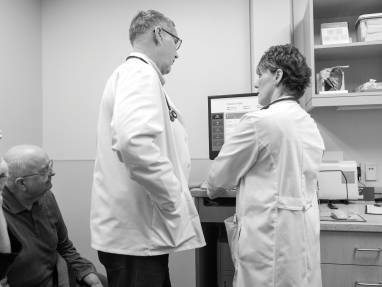 In healthcare spaces, transitions between inputting data, sharing information, and the physical exam or treatment become awkward and disjointed. 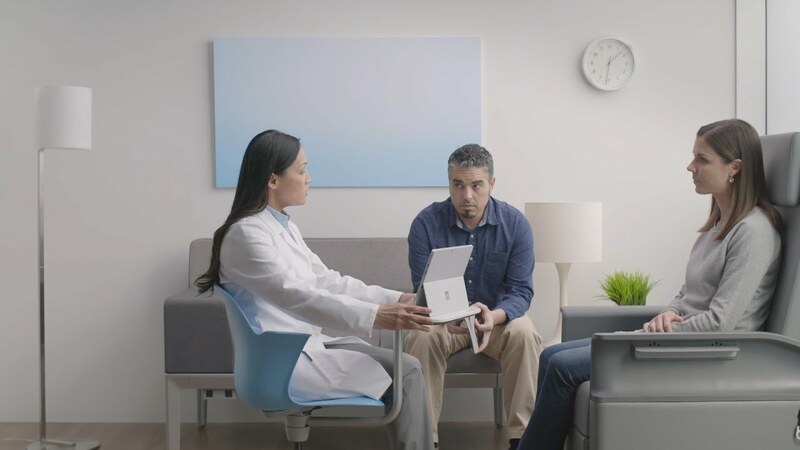 Patients feel like they connect less with the clinician and more with their backside, distancing them from decisions regarding their own health outcomes. The physical demands on nurses and doctors are high. In a single day, a clinician might travel between several healthcare spaces and multiple buildings. 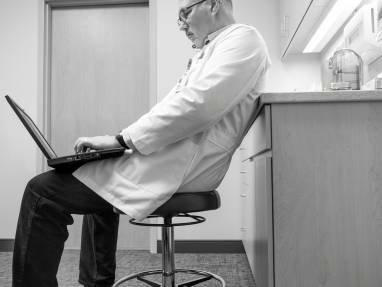 With little time to rest between appointments and a lack of ergonomic exam room seating options, a clinician’s physical wellbeing can become compromised. 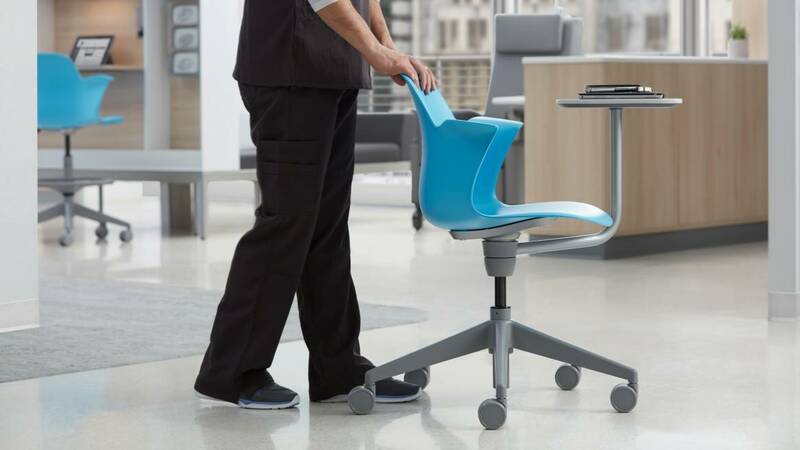 Typical clinician seating consists of a rolling stool without a back or arm rests. This forces clinicians to prop themselves against walls and countertops—not only jeopardizing their physical health, but their safety as well. 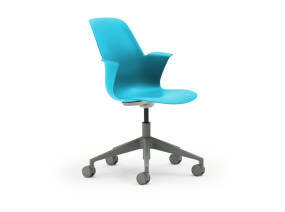 surface swivels 360° to optimize collaboration.